Rural Addressing - How Does it Work? Rural Road Numbers are allocated based on the distance of the primary access point to each property from the nominated start (one end) of a road. Rural Road Numbers are calculated by dividing the distance in metres from the nominated start of the road by 10, and rounding down to an odd (for properties on the left) or even (for properties on the right) number as required. For example a property entrance 930 metres from the start of the road on which it is located, and situated on the left-hand side of that road, will have the Rural Road Number 93. If the property entrance were on the right-hand side of the road, then the Rural Road Number would be 92. There are three elements in a rural address: the Locality within which the property is situated, the Name of the road on which the property is located, and the Number of the property on that road. The Rural Road Number is allocated to one entrance to a property. This must be the primary access point or main entrance to the property from the road, even if the house is located away from the access point. All public roads which contain an occupied property have been uniquely named within any Local Government Area. Any given Number and Road Name combination may not necessarily be unique within Australia, but it will be unique within any LGA locality. 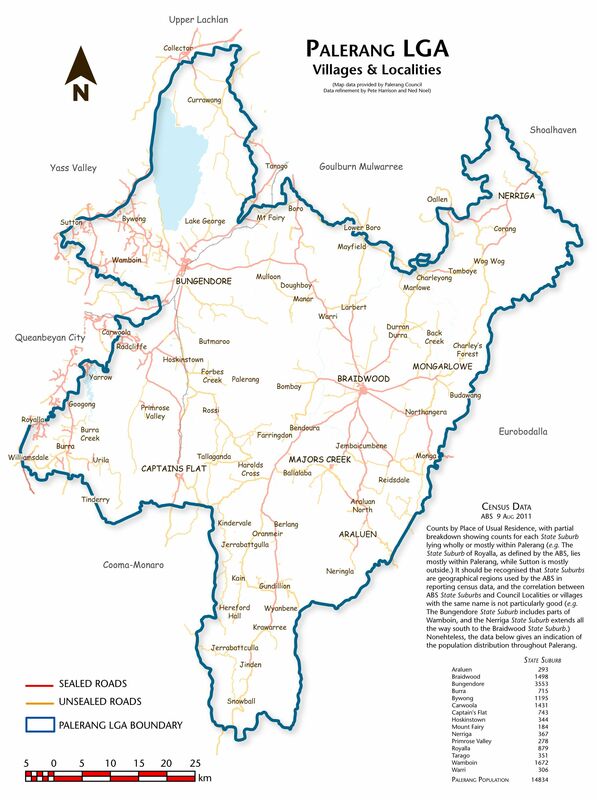 Palerang localities are identified on the Palerang LGA Map. Thus, for example, the Wamboin Community Hall, located 1120 metres from the start (the Norton Road end) of Bingley Way, on the right-hand side of the road, in the locality of Wamboin, will have a Rural Road Number of 112, and a rural address of 112 Bingley Way, Wamboin. 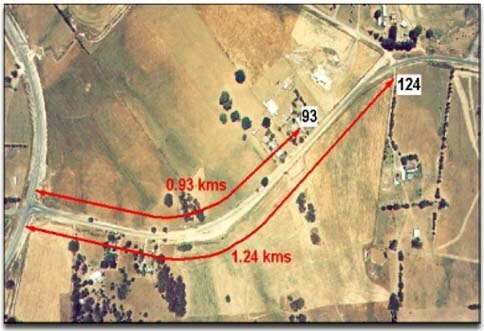 Extracted from Rural Road Numbering Guidelines (Version 1.4, July, 2002), published by Land Information Group, Land Victoria, Department of Natural Resources and Environment.